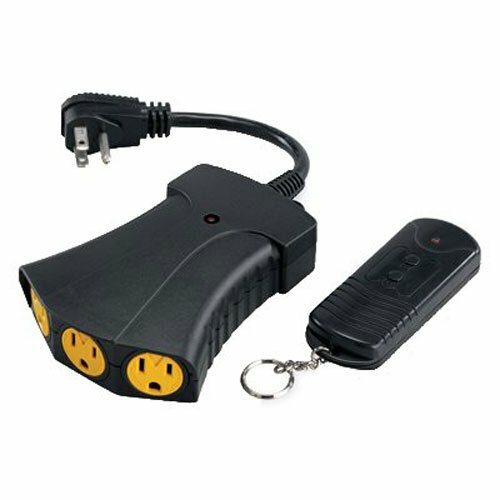 Master electrician, heavy duty remote on/off control power hub, operates Christmas lights, lamps, TVs, Stereos, or other small appliances, plugs into any standard outlet, indoor & outdoor rated, waterproof casing, Assorted remote control channels allows the user to operate more than 1 without interference, 80' range, 1000W maximum. If you have any questions about this product by Master Electrician, contact us by completing and submitting the form below. If you are looking for a specif part number, please include it with your message.